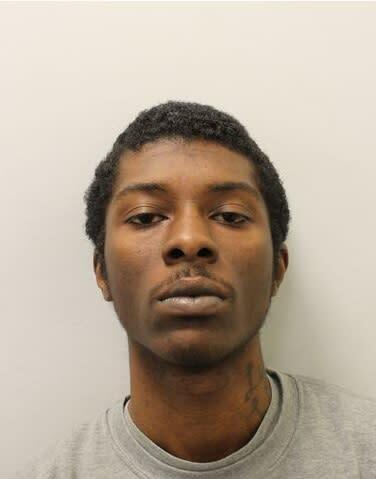 A man has been found guilty of manslaughter by means of diminished responsibility after killing his aunt in Lambeth in 2018. 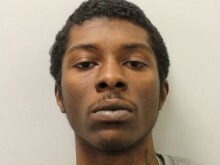 Jordan Clarke, 21 (24.09.96), of Sudborne Road, Brixton was convicted at the Old Bailey today, Wednesday, 6 March. The judge made an interim order remanding Jordan Clarke in secure accommodation under the Mental Health act pending further psychiatric reports, followed by a sentencing hearing to be set on Wednesday, 1 May 2019. The court heard that police were called by the London Ambulance Service at 18:36hrs on Sunday, 15 April 2018 to a residential address in Sudbourne Road, Brixton, following reports of a stabbing. 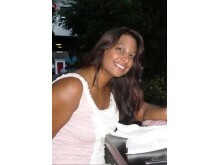 Officers attended with LAS colleagues and discovered 39-year-old Samantha Clarke in a bedroom. Despite the efforts of medical professionals, Samantha was pronounced dead at 19:11hrs. A post-mortem concluding on 18 April, at Greenwich mortuary, would give the cause of death as multiple incised wounds. She had suffered over 50 in total. Jordan Clarke, Samantha's nephew by marriage, was arrested at the scene and an investigation launched by detectives from the Homicide and Major Crime Command. Officers discovered that Jordan had been suffering from deteriorating mental health in the days and weeks leading up to the incident, claiming that he was being followed by undercover police officers, and arranging furniture from the house in the street. Due to his erratic behaviour, his family sought help from a doctor, who referred him to a local mental health team as a matter of urgency. At that time, his symptoms were not thought to be acute enough to justify immediate treatment, and so Jordan returned home with his family. Days later, Jordan’s uncle and his wife Samantha decided to visit London from their home in High Wycombe because of some appointments Samantha had in the area. They had not informed relatives prior to their arrival and so it was a surprise visit. Jordan’s behaviour began to worsen almost immediately. Two other relatives who remained at the address saw Jordan holding a screwdriver, before he made his way into the kitchen and took hold of several kitchen knives. Jordan’s uncle continued to unload luggage, and saw Jordan staring at him blankly. He went out to get more bags from his car and when he came back he found the front door had been locked from the inside, leaving him unable to get in. He then locked the remaining family members inside the kitchen, who grew concerned about what was happening and so called Jordan’s father, who had left prior to Samantha’s arrival to visit a relative. Police were called and Jordan was calm and compliant when arrested. He was charged on 16 April 2018. The motivation behind his attack could not be clearly identified but may have been triggered by his ailing mental health, worsened by the recent death of his grandfather, and the unexpected arrival of his uncle and Samantha. Jordan has made no admission of guilt, or even acknowledged his presence on the day of Samantha's murder, leading to a trial of issues. Detective Inspector Dave Blair, of the Homicide and Major Crime Command, said: “Samantha arrived at the address that day with no idea of the danger she was in. Jordan’s family had sought help for his evidently deteriorating mental health but they too could not have known what was about to happen. 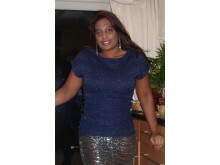 “Samantha was subjected to an unprovoked attack as she went about her business bringing her things into the address. It was an attack from which she tried to defend herself but ultimately stood no chance.